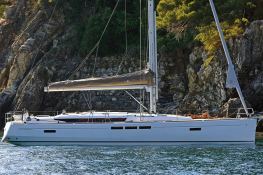 The Jeanneau Sun Odyssey 519 is available for charter from Split, one of the most irresistible historic cities in Croatia. On board the Sun Odyssey 519, admire the heights of the Marjan hill and have a breathtaking view of the Adriatic Sea and reflect on her striking historical heritage. 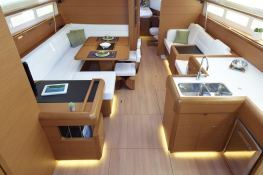 Located in Split, Croatia, this Sun Odyssey 519 (1 single and 5 double cabins), available for bareboat, built in 2018 by Jeanneau, is capable of hosting up to 11 passengers. Further more, and for a complete bareboat charter journey, Sun Odyssey 519 comes with air conditioning, bow thruster, electronic on board, equipped galley and also CD. 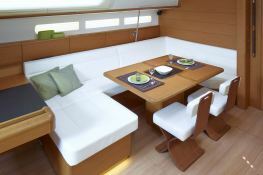 This sailing yacht is available for bareboat charter with a base price of 3 300 € (approximatly 3 722 $).